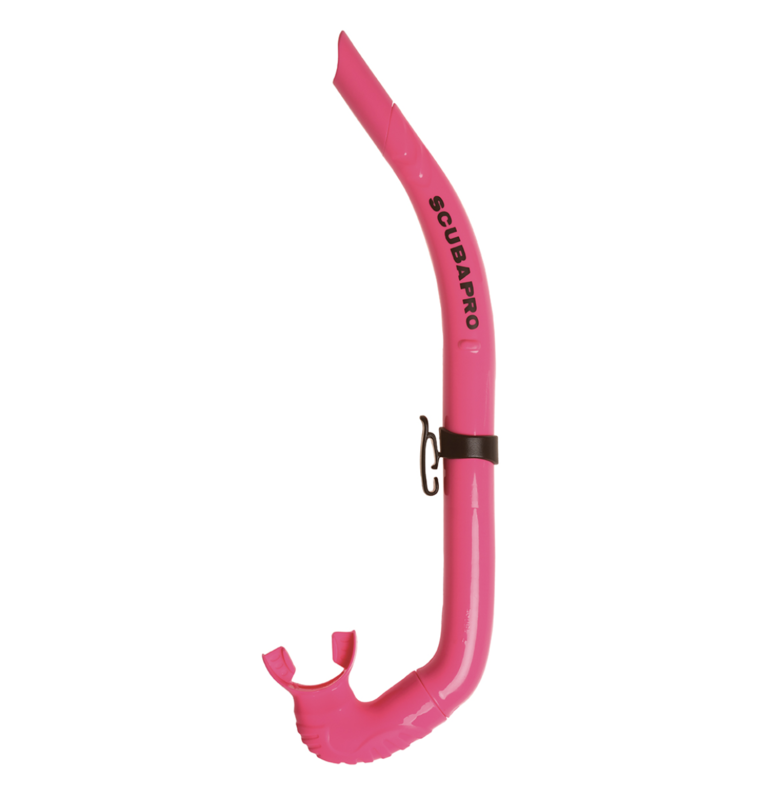 SCUBAPRO's Apnea or Free diving snorkel easily attaches to your mask strap when being used. When not needed, it can be folded and stowed in an accessory pocket. When it's time to do some surface swimming, it pops right back into shape. Without question, this is a versatile and easy-to-use surface breather.